The opioid crisis has become a significant public health emergency for many Americans, especially for millennials, so much so that one out of every five deaths among young adults is related to opioids, suggested a new report. The study is called “The Burden of Opioid-Related Mortality in the United States," published Friday in JAMA. Researchers from St. Michael’s Hospital in Toronto, Ontario, found that all opiate deaths — which accounts for natural opiates, semi-synthetic/ humanmade opioids, and fully synthetic/ humanmade opioids — have increased a mindboggling 292 percent from 2001 through 2016, with one in every 65 deaths related to opioids by 2016. 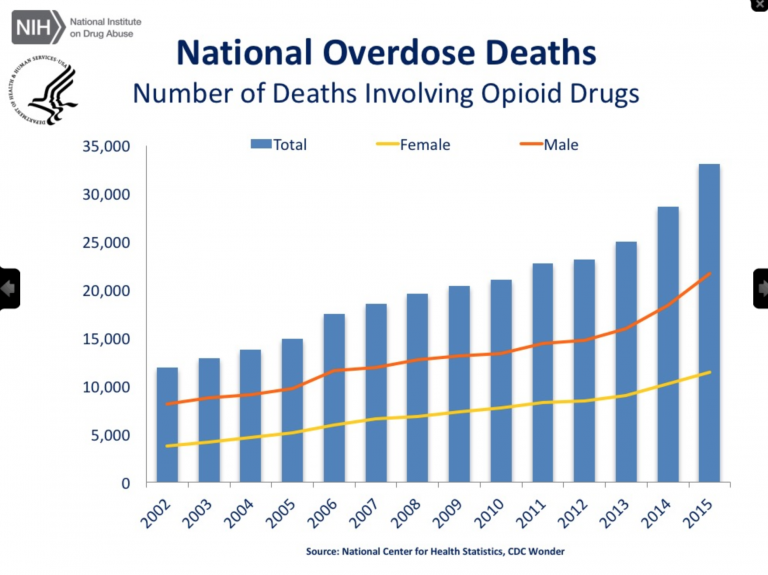 Men represented 70 percent of all opioid-related deaths by 2016, and the number was astronomically higher for millennials (24 and 35 years of age). According to the study, one out of every five deaths among millennials in the United States is related to opioids. In contrast, opioid-related deaths for the same cohort accounted for 4 percent of all deaths in 2001. 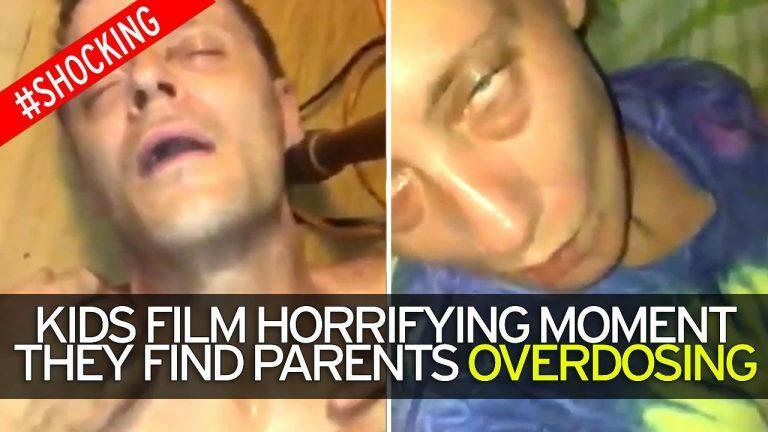 Moreover, it gets worse; the second most impacted group was 15 to 24-year-olds, which suggests, the opioid epidemic is now ripping through Generation Z (born after 1995). In 2016, nearly 12.4 percent of all deaths in this age group were attributed to opioids. “Despite the amount of attention that has been placed on this public health issue, we are increasingly seeing the devastating impact that early loss of life from opioids is having across the United States,” said Dr. Tara Gomes, a scientist in the Li Ka Shing Knowledge Institute of St. Michael’s. “In the absence of a multidisciplinary approach to this issue that combines access to treatment, harm reduction and education, this crisis will impact the U.S. for generations,” she added. Over the 15-year period, more than 335,000 opioid-related deaths were recorded in the United States that met the study’s criteria. Researchers said this number is an increase of 345 percent from 9,489 in 2001 (33.3 deaths per million population) to 42, 245 in 2016 (130.7 deaths per million population). 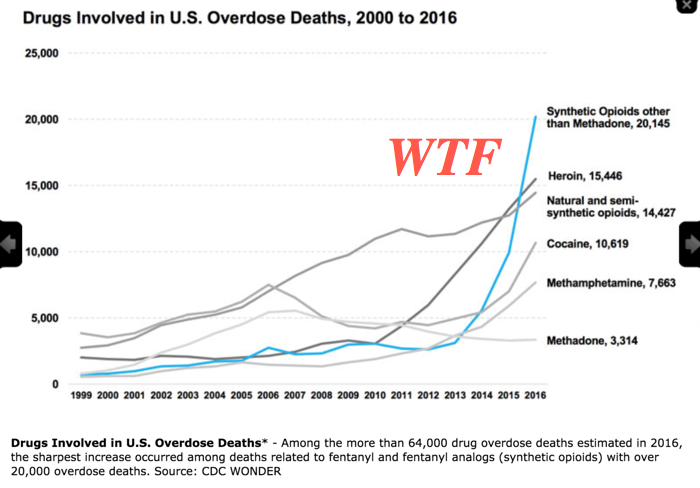 All in all, the opioid crisis is much worse than we imagined, as millennials are craving, not just avocados these days - but, vast amounts of opioids inducing a tidal wave of fatal overdoses.